Tracy Tyson Miller graduated from the University of South Florida in 1989 with a B.A. in Political Science. She then attended the University of Florida College of Law from 1989 - 1992, when she received her law degree. She was admitted to the Florida Bar in November 1992. Ms. Miller began practicing in the Social Security field in 1995 and has since limited her practice to disability claims before the Social Security Administration. She has handled over 1000 claims at the administrative level and is currently handling appeals at the Appeals Council and Federal level. Ms. Miller is a member of the Jacksonville Bar Association and is the former President of the Jacksonville Women Lawyers' Association. She was Chairperson of the Jacksonville Bar Association's Social Security Committee from 2002 - 2005. She is a member of the National Organization of Claimant's Representatives, a national group of attorneys and representatives. In 2011 she was elected to the Board of Directors of the National Organization of Social Security Claimants' Representatives and selected as a Florida Super Lawyer and a Florida Legal Elite. Ms. Miller often speaks on Social Security issues to attorneys locally and nationally. 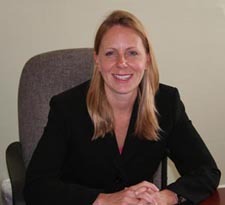 She has written articles for the Jacksonville Bar Association and Jacksonville Lawyer magazine.